According to the Project Management Institute (PMI), projects go off the rails 90% of the time due to poor communication with the project’s stakeholders. Without constructive buy-in from project stakeholders, success is all but impossible. Stakeholders are any individual or group of people affected by a project. They are a project manager’s greatest challenge, but also their greatest asset. A big part of the challenge of managing stakeholder is the fact that there are different types of them. They include the project sponsor, primary and secondary customers, and the project team. Project sponsors own the project and have the overall accountability for it. They are the starting point of any project and the most important stakeholder. Primary customers are those directly affected by the project are primary customers. Secondary customers are those indirectly affected by the project. The project team are those who contribute to the overall project objectives and complete individual deliverables. They provide the needed expertise and work with users to determine their business needs. They are also responsible for project documentation. Depending on their interest in the project and their power of influence over it, these groups have need different goals, needs, and expectations. Effectively managing all the project stakeholders is the only way to win support for a project. This course helps participants identify key project stakeholders and identify their different requirements at various stages of the operation. At the end of the course, participants will have the tools to build strong relationships with different project stakeholders that wins them ongoing support for their projects. This Winning Support For A Project workshop is ideal for anyone who would like to gain a strong grasp and improve their Winning Support For A Project. The duration of this Winning Support For A Project workshop is 1 full day. Knowles Training Institute will also be able to contextualised this workshop according to different durations; 2 full days, 1 day, half day, 90 minutes and 60 minutes. Guarantee project buy-in and support. Build your communication and negotiating skills. Transform difficult stakeholders into project partners. Explain the importance of winning support from different groups of project stakeholders. Categorize stakeholders in terms of interest and power/influence. List the goals, needs, and expectations of different stakeholders. Communicate effectively with different project stakeholders. Tailor sales pitch to different stakeholders. Reduce any stakeholders concerns that come up during the project. Create a plan to deal with stakeholders external to the organization. Avoid actions that create stakeholder conflicts. Engage with different project stakeholders promptly. Recognize when to escalate issues with different project stakeholders. Understand how cultural differences influences how you manage stakeholder relationships. Keep stakeholders engaged in the process from start to finish. How to identify project stakeholders. Roles of different project stakeholders. Factors that influence the management of stakeholder relationships. Main reasons why stakeholder relationships fail. Difference between power and influence and how it affects projects. How to identify different project stakeholders goals, needs, and expectations. Skills and tools that help improve stakeholder relationship management. How to craft the perfect sales pitch to match different stakeholders. The art of negotiation – creating win-win moments for stakeholders. There are 3 pricing options available for this Winning Support For A Project training course. 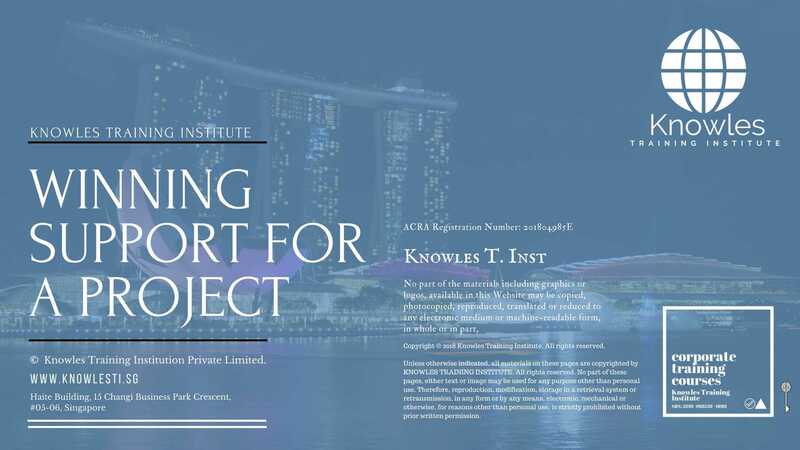 Course participants not in Singapore may choose to sign up for our online Winning Support For A Project training course. Request for this Winning Support For A Project course brochure. Fill up the short information below and we will send it to you right away! 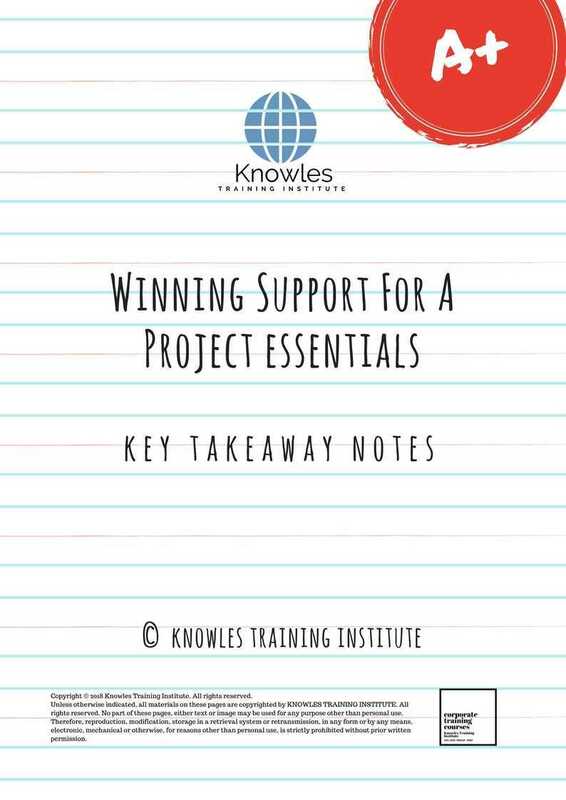 Register For This Winning Support For A Project Course Now! 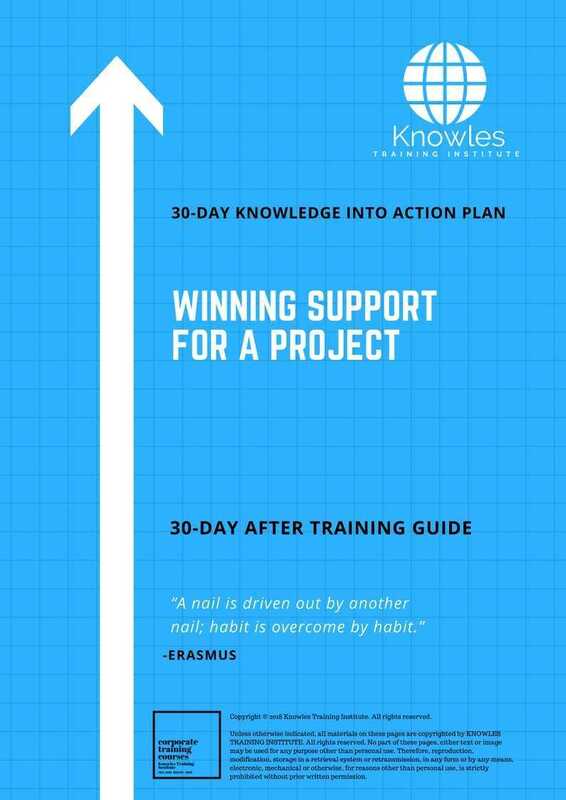 Share This Winning Support For A Project Training Course! 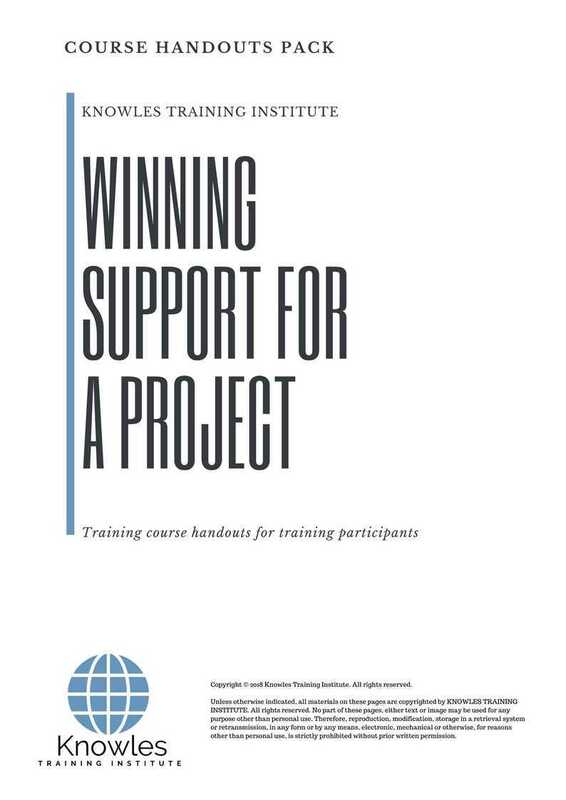 Winning Support For A Project course, workshop, training, class, seminar, talk, program, programme, activity, lecture. Winning Support For A Project courses, workshops, classes, seminars, talks, programs, programmes, activities, lectures in Singapore. Winning Support For A Project improvement tips, Winning Support For A Project techniques, improve Winning Support For A Project, improve Winning Support For A Project games, Winning Support For A Project improvement exercises, improve Winning Support For A Project power, how to have good Winning Support For A Project, how to have good Winning Support For A Project in studying, how to build up your Winning Support For A Project, how to improve Winning Support For A Project how to improve Winning Support For A Project course in Singapore. 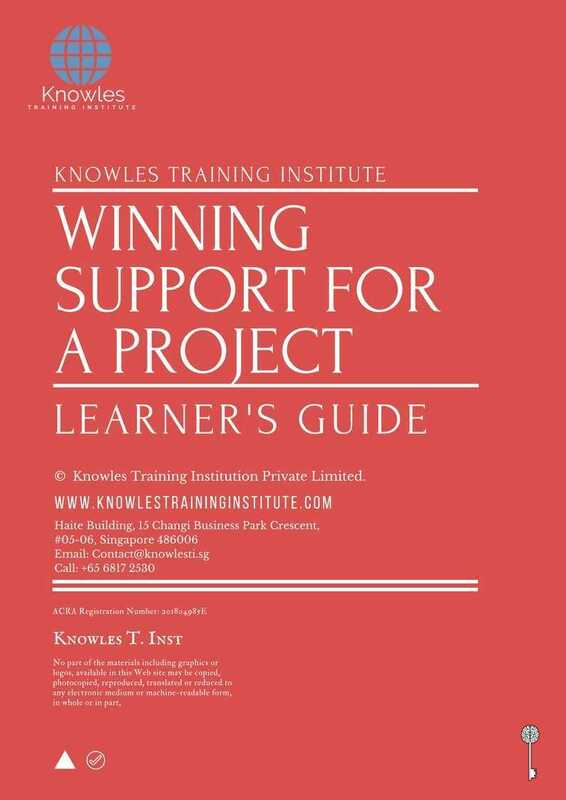 Enhance, boost, build up, enlarge, heighten Winning Support For A Project course in Singapore. Increase, intensify, raise, reinforce, strengthen Winning Support For A Project. Upgrade, amplify, boom, elevate, exaggerate, magnify, grow, gain Winning Support For A Project. Develop Winning Support For A Project, multiple, power up, beef up, bolster, establish, extend Winning Support For A Project. Invigorate, restore, step up, toughen, empower, fortify, regenerate Winning Support For A Project. Rejuvenate, renew, escalate, expand, maximize Winning Support For A Project. Powerful, mighty, impressive, competent, great, excellent, exceptional Winning Support For A Project in Singapore. Superb Winning Support For A Project. Super, superior, strong, solid, active Winning Support For A Project training courses and workshops in Singapore. Winning Support For A Project enhancement, booster, building up, enlargement, heightening, increment, strengthening, amplification. Winning Support For A Project magnification, growth, development, power, empowerment, regeneration. Winning Support For A Project rejuvenation, development, escalation, expansion. 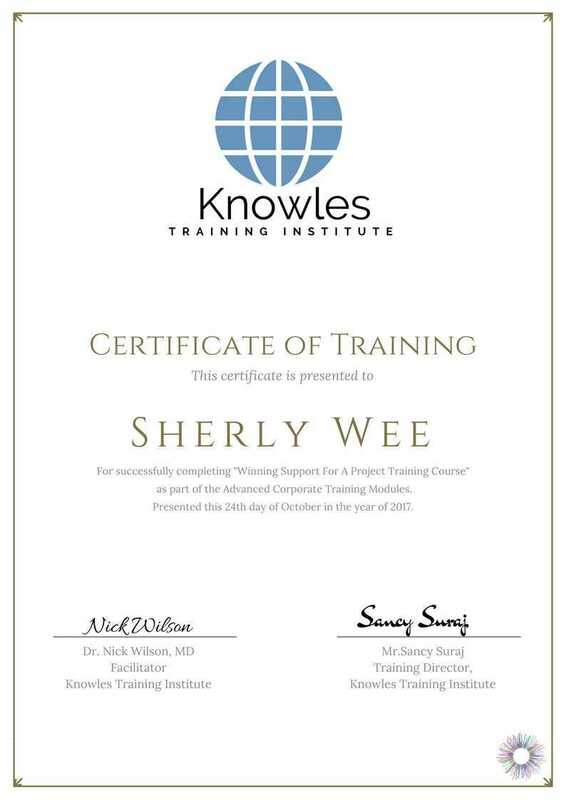 Winning Support For A Project maximization, power training courses & workshops in Singapore.